https://gallery.mailchimp.com/f1eb1a943390480866073131e/images/aae9..." width="250" class="CToWUd a6T"/>Recently I have noticed themes that have centered around the necessity for us all to love ourselves through the intensity of life that we seem to be experiencing at this time. of yourself before Pure Wisdom takes solid root within you. Do you feel disconnected from your creativity? Do you feel unsupported and alone in your life? Archangel Gabriel is represented in the second chakra as the master of communication, creativity and unity. In this beautiful meditation inspired by Archangel Gabriel, you can become the partner you want to be in all your relationships. You are lovingly guided to create a Sacred Marriage within you so that all polarities come into wholeness. My relationship with Archangel Gabriel began in 1990. Since then he has become a powerful voice for my Soul, and inspires my creative expression in amazing ways. Even though our second chakra is most well known as the sexual center, it also births creative ideas as well as babies. The consciousness in this powerful emotional center can expand to include honoring all relationships. Listening to the meditation and finding more harmony in your second chakra can help to heal the primary fears of abandonment, betrayal and financial loss. Archangel Gabriel is the Angel of Creative Solutions, so using this connection will assist you to find the most Divine and creative way to solve the stickiest problem. Communion with Archangel Gabriel can lead to a beautiful link to your most Divine Self so you can receive practical wisdom and guidance from a trusted Source. Archangel Gabriel presents a loving connection for communication within your deepest essence. He will inspire your Highest Self to receive and help open your receptivity to guidance. "After listening to the meditation and focusing on Archangel Gabriel, I was surprised at how available this powerful Archangel was for me to connect with. I feel so loved! Thank you." This guided meditation is included in Shanta's self-guided Archangel Study Program. You may purchase the program or any of the individual meditations.See details here. Create Your Love Body & Experience The Wholeness Of The Creator In You ! In this guided meditation video, AA Metatron helps us to heal & expand your Heart Chakra and Higher Heart Chakra so that we can reconnect with and expand our Love Body. Your Divine Love Body includes your personal Flames of Love, Joy, Bliss & Fulfillment from your Soul & your Highest Divine Self & from The Creator. Affirm, "With my every breath - I breathe these Divine Flames into my entire embodiment & release everything not of God's Love." Start breathing in & out of your higher heart chakra, & Affirm: "I Am the Flames of Love, Joy, Bliss, & Fulfillment of My Divine Love Body anchored in my Higher Heart Chakra !" Your Divine Power is your Divine Power of the Creator that you can call forth that's within you & within everything in creation. 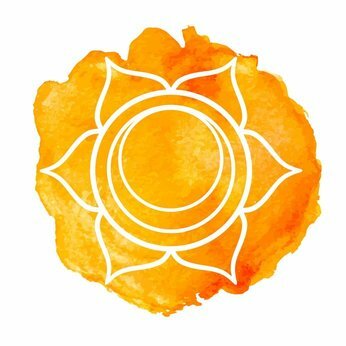 I now Call forth & feel in my Solar Plexus Chakra the most divinely perfect Flames of Power from the Creator I need in every moment to manifest my Soul & The Creator's Will for the divinely highest good of all. I Affirm: "I Am the Flames of My Divine Power anchored now in my Solar Plexus Chakra & Earth Star Chakra, and now merged with The Flames of my Divine Love Body. "I Now call forth & breathe into my entire embodiment the Flames of My Divine Light , which includes the Light of my Soul, the Light of my Divine Self, & the Supreme Light of the Creator." I Am the Flames of my Divine Light Body anchored now in my Higher Heart Chakra, & merged with the Flames of My Divine Power Body & with the Flames of my Love Body in a beautiful Flower of Life Sphere." With my every breath, the Flames of My Divine Love, Light, & Power Bodies are continually renewed & empowered from Source for my own ascension & healing as well as for my divine service work in helping with the ascension & healing of Gaia & every human being . I Am continually breathing all of these Divine Flames from my Divine Love, Light & Power Bodies into my Flower of Life Sphere, and these Divine Energies are continually working throughout my Whole Being, healing me & raising my vibrations for my spiritual growth. Take a moment & let yourself feel this. Now feel or imagine this Flower of Life sphere with the Flames of your Divine Love, Light, & Power Bodies in it expand throughout your Whole Being and anchor in your Earth Star Chakra..... and now expand and anchor in Gaia's crystalline grid..... and now expand to every human Being! Take a moment and breathe in this Divine Energy encapsulating you...and let yourself feel how these Divine Energies are awakening & expanding the Divine Love & Joy in you, & how they are uplifting & healing you & helping you experience more fully your Highest Divine Self & your Soul & The Creator. And now visualize or acknowledge interconnected Flower of Life Spheres that you and all others that are engaged in this Light Work have created encapsulating every human being & remaining with every person from the time each person is in the womb and throughout each person's life, and one encapsulating Gaia as well. Each Flower of Life Sphere is continually being renewed from Source and from all the Divine Flames of each being's Divine Love, Light, & Power Bodies that are engaged in this Light Work. And with each breath of each person on earth, as well as each breath of Gaia - each person breathes in the divine energy from their Flower of Life Sphere - which is helping you & Gaia with your ascension, and is helping expand your awakening to God's Presence within you & your experience of your multi-dimensional self, and is helping expand your experience of the Divine Love, Joy, Peace, Fulfillment, & Abundance of your Soul & the Creator. Affirm: "With each breath of every person on earth, & each breath of Gaia - the Divine Flames of this Energy are awakening & expanding my experience of Mother God & Father God's Presence within me... & are awakening & expanding my experience of my Divine Self & my multi-dimensional self ... & are expanding my experience of the Supreme Love, Peace, Fulfillment, & Joy of my Soul & The Creator... & are also helping manifest the Divine Healing that I, & every person on earth, & Gaia needs. 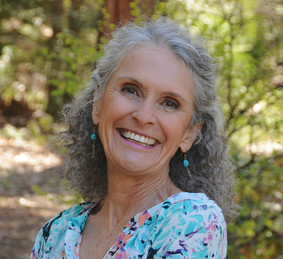 Natalie Glasson is channeling AA Metatron in this video, and it is from Natalie's free gift to us from her 'Capsules of Wisdom' # 145 called 'Love Body Harmonization & Healing'. Video: "Create Your Love Body & Experience The Wholeness Of The Creator In You ! Human experience with the sister stars and binary stars as well. These alignment occur on a long-term basis and are difficult to measure from Earth’s standpoint because of our short physical lifetimes. Each of these alignments is powerful. We may use energy alignments, or ignore them. An alignment is an opportunity to grow, expand, and experience unity on a new level. We have an opportunity to experience a new unity when we are able to bring ourselves into alignment physically, emotionally, and mentally. We are constantly on a spiral that offers opportunities for new energy alignments with new information and new awarenesses. Since we are not always aware of the multidimensional planes, these alignments are important because Arcturians can help us to integrate anx gain awareness of the different dimensions. We might be stuck, inhibited by the linear nature of our density. However, at each new alignment, we can transcend the density by taking the opportunity to experience a portion of our multidimensional existence. It is important to understand the significance of energy alignments. Alignments occur on all multidimensional levels. We have many levels of physical alignments. We have spiritual alignments with our various bodies, including mental, the emotional, and physical. Human beings also have alignments with the energies of the Earth. However, because of the energy shifts now occurring and the overwhelming abuse of the planetary system, it is easy to be out of alignments with the Earth energies. Alignments of the Sun with the Galactic Center also affect us when certain planets come into alignment with each other. Our Solar system represents a miniature model of the Galaxy. So we can understand that there are different energy systems within the galaxy. Humans can experience alignments with the sister stars and binary stars as well. These alignment occur on a long-term basis and are difficult to measure from Earth’s standpoint because of our short physical lifetimes. Each of these alignments is powerful. We may use energy alignments, or ignore them. An alignment is an opportunity to grow, expand, and experience unity on a new level. We have an opportunity to experience a new unity when we are able to bring ourselves into alignment physically, emotionally, and mentally. We are constantly on a spiral that offers opportunities for new energy alignments with new information and new awarenesses. Since we are not always aware of the multidimensional planes, these alignments are important because Arcturians can help us to integrate and gain awareness of the different dimensions. We might be stuck, inhibited by the linear nature of our density. However, at each new alignment, we can transcend the density by taking the opportunity to experience a portion of our multidimensional existence.